Go to… Go to… Home Featured Listings - Residential - Manufactured Home - Lots & Land - Open Houses Search for Homes - Advanced Search - Map Search - Foreclosures - Commercial Search - Spring Valley Lake - Adelanto - Apple Valley - Victorville - Pinon Hills - Oak Hills - Phelan - Hesperia - Hesperia <$100k - Hesperia $100k-$200k - Hesperia Pool Homes - Hesperia Luxury Homes - All Hesperia Land Buyer/Seller Info - Mortgage Rates - Schools - Relocation - Weather About Me - Testimonials Contact Me - Dream Home Finder - FREE Market Analysis - Real Estate News!!! ****PRICE REDUCED $15, 000 ON 11/08/2018**** Pride of Ownership shows in every corner! This clean 3 Bed 2 bath home has lovingly been taken care of for many years by the owners. When you walk in, you will see the kitchen which is adjacent to the living room allowing plenty of space for entertaining. 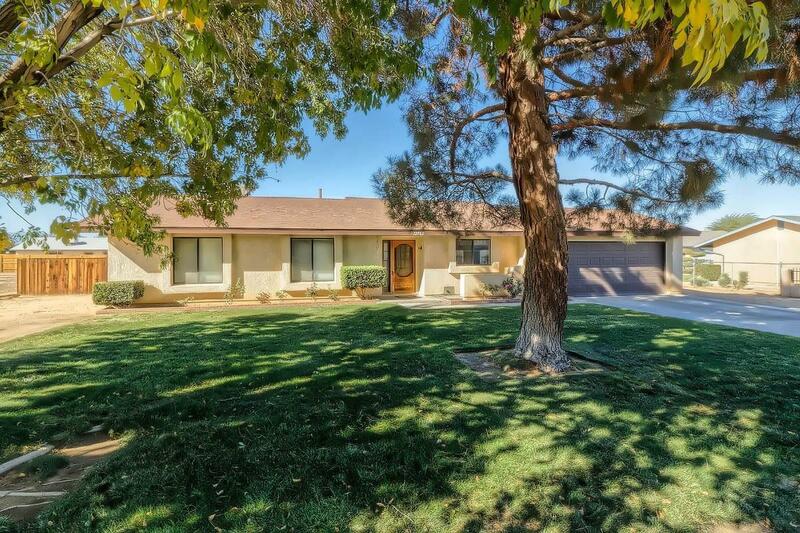 Home features larger than normal bedrooms, extra storage space, central heating with a ducted evaporative cooling system, two car attached garage, large lot with nice landscaping in the front yard and a fenced backyard big enough for a pool or for your larger vehicles! Perfect home for 1st time home buyers, or investors! These sellers are now ready to sell, very motivated and will look at any and all offers!! Directions: From I-15 Take The D St Exit, Turn Right At End Of Ramp. Follow Through Apple Valley To Navajo Rd-Turn Right, Piq Is On The Right, Past The Light At Sitting Bull. Home | Open Houses | Lots & Land | Residential | Manufactured Home | Search for Homes | Advanced Search | Map Search | Foreclosures | Mortgage Rates | Buyer/Seller Info | About Me | Contact Me | Real Estate News!!! © 2019 High Desert Association of REALTORS® All rights reserved. Information deemed to be reliable but not guaranteed. The data relating to real estate for sale on this website comes in part from the Broker Reciprocity Program. Real estate listings held by brokerage firms other than All American Real Estate Company are marked with the BR logo and detailed information about them includes the name of the listing brokers. Listing broker has attempted to offer accurate data, but buyers are advised to confirm all items. Information last updated on 2019-04-19.